On Monday March 7, the non-newsroom bargaining committee presented a counter-proposal addressing the company’s demand for the right to outsource finance and home delivery work. The package proposal granted the company the right to outsource finance work to the Digital First Media-shared services center in Colorado Springs. The offer included an enhanced severance package and a few options for current employees. Regarding home delivery, the Guild proposal included a reduction of five District Manager positions and the addition of 19 part-time Helper positions. The proposal would reduce the cost of the operation because 19 Helpers working 20 hours per week costs less than five District Mangers. The change would add 180 hours of regularly scheduled labor per week, so overtime would be all but eliminated, saving over $200,000 annually. Management countered with a less generous severance package for finance employees, and with little change to their home delivery outsourcing proposal. Tuesday morning the committees met again. Senior Vice President Bill Reynolds claimed that the company’s main motive for outsourcing isn’t savings, it’s operational. 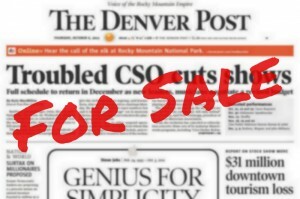 The Post has successfully made the transition from employee operations to contractors outside of the metro area. Reynolds said he’s confident about leading a transition of metro home delivery from employee operated to contractor operated. The Guild notified the company that we will be sending an information request to better understand claims about other papers’ transition and what they want to implement here. No additional bargaining sessions have been scheduled. Guild Non-Newsroom Bargaining Committee: Paulette Shrefler, Kathy Rudolph, Laurie Faliano, Sam DeLeo, Kristin Baldwin, Kelly Mortensen, Steve Wielgosz, Bruce Egelston, Chris Wint, Cheryl Schmid, Theresa Burt, Tony Mulligan and Richard Rosenblatt.